NOTE: THE VAULT WILL BE BACK WITH A NEW ARTICLE ON BLACK CAVIAR WITHIN THE NEXT 15 days or so. APOLOGIES TO MY READERS BUT ‘TIS THE SEASON OF FUND-RAISERS AND I AM SWAMPED WITH VOLUNTEER WORK! 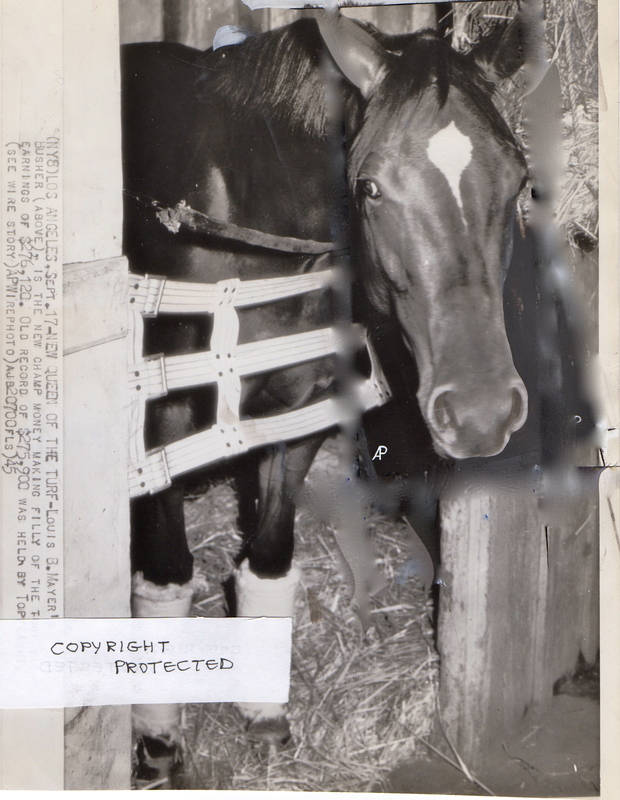 To our readers: Steve Haskin, senior Blood-Horse correspondent, states that it is almost impossible to compare any two thoroughbreds over time, given changes in track conditions and distances, other horses competed against and the normal contextual details that make any thoroughbred in any century or even decade a completely unique individual. Here at THE VAULT we would agree, so please study these results with that in mind. Those winners in each fantasy BC Division were selected based on career performance, stamina and ability. Where possible, the thoroughbreds they defeated were also calibrated. The point in writing these articles was both to add to the fun of this year’s Breeders Cup, as well as to remember many great thoroughbreds from out of the past, the majority of whom raced prior to the inception of the Breeders Cup. Apologies for the delay in posting these results, but it was truly unavoidable and unanticipated. Next time: THE VAULT takes a look at the accomplished Black Caviar, featuring more stunning photographs by acclaimed Australian photographer, Bronwen Healy. For first, a DEAD HEAT between the two thoroughbreds of impeccable talent and reputation: the mighty KELSO and the fleet SEA-BIRD. SHOW: The last British Triple Crown winner, NIJINSKY, who showed fatigue in the final stretch given a year that saw him take the UK Triple Crown and miss winning the Arc by a hair. The winner here was the incomparable Gallorette, with Bewitch a head behind and the fillies Cicada and Gallant Bloom in a DEAD HEAT for third. 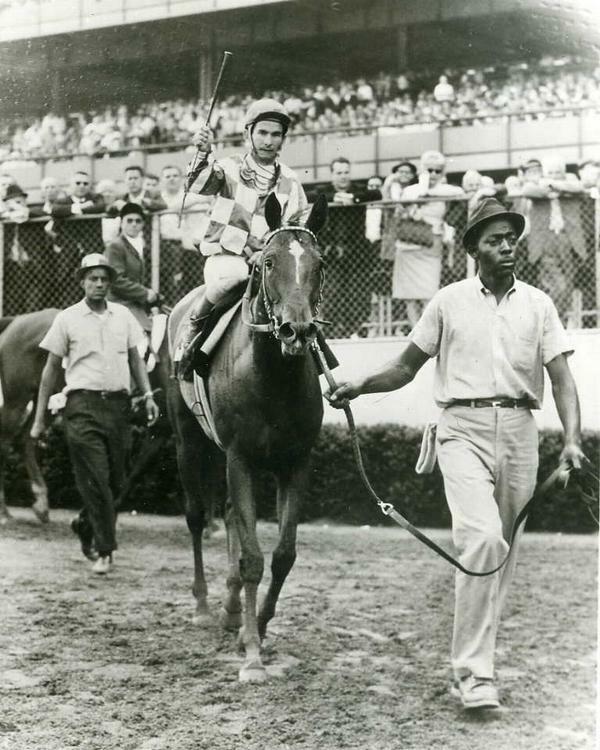 As many had anticipated, the wonder filly, RUFFIAN, led a tightly-packed field home to win by 2 lengths. In second, COUNT FLEET, who encountered difficulties manoeuvring in the stretch. 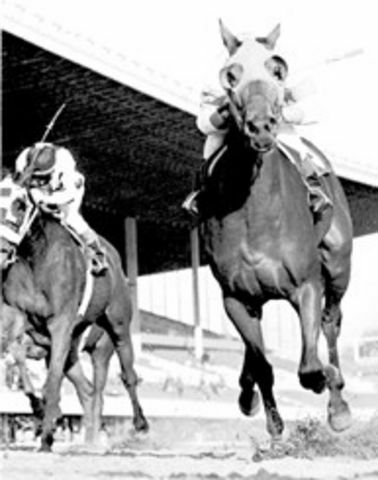 Another DEAD HEAT for third: Spectacular Bid and Whirlaway, who crossed the finish a mere half a length behind Count Fleet. BREEDERS CUP CLASSIC: SOME OF THE GREAT ONES …. Unlike the two previous “fantasy” posts, this one is going to be “quick & dirty” in the interests of getting it up before the real 2011 BC Classic runs tonight. So enjoy the photos and the stats….and wage your fantasy bet!!! 1. TWENTY GRAND (St. Germans, from the family of Swynford ex.Bonus, from the family of Persimmon). Pictured above, this great campaigner has returned to racing following a short lapse in the breeding shed. A horse who has beaten the great Equipoise twice and won the Kentucky Derby and Preakness, as well as races like the Wood Memorial and the Jockey Gold Cup in 1931, can be expected to be a strong contender in this field. Twenty Grand will be ridden by Charley Kurtsinger and breaks from Post # 3. 2. SPECTACULAR BID (Bold Bidder, from the family of Bold Ruler, ex. Spectacular, from the family of Palestinian) is an entrant whose very name is sacred to all of those who loved him. Defeated only 4 times out of 30 starts — with wins in the Kentucky Derby and Preakness — and unplaced only once, “The Bid” starts from Post # 7 under jockey Bill Shoemaker. 3. 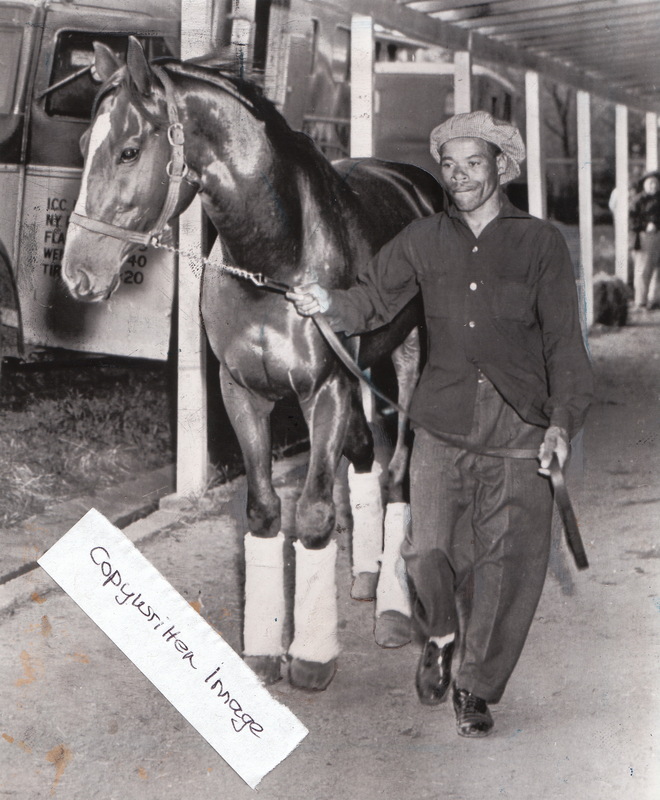 JOHN HENRY (Old Bob Bowers, from the family of Princequillo ex. Once Double by Double Jay) needs no introduction. This gutsy gelding may have gotten off to a slow start in his racing career but few would argue that he’s already raced into legendary fame. Equally talented on grass and dirt, John Henry gets the talented Darryl McHargue as jockey and breaks from Post #9. 4. SUNDAY SILENCE (Halo ex.Wishing Well, from the family of Palestinian) returns to defend his BC Classic title, much to the excitement of us all! This Kentucky Derby, Preakness and Santa Anita Derby winner starts from Post # 10, under his regular jockey, Pat Valenzuela. 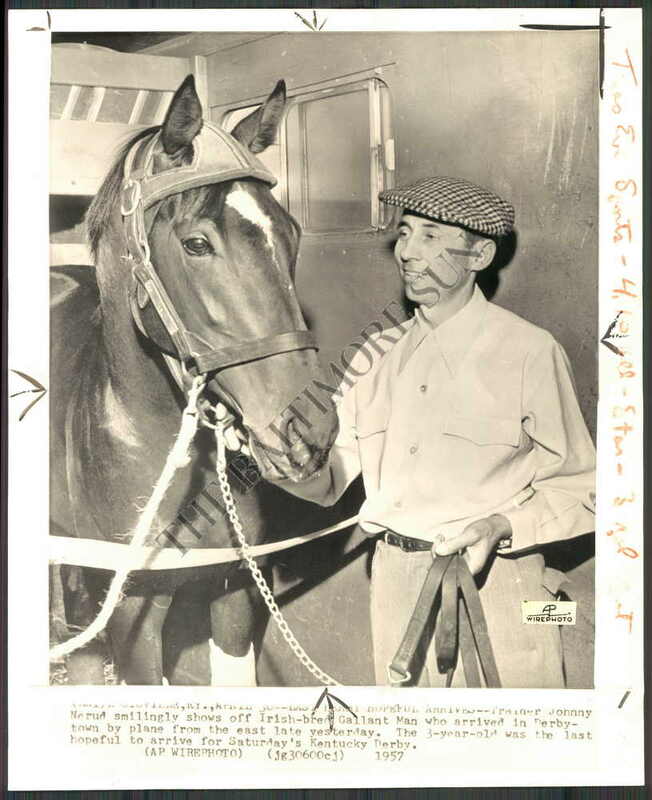 Noor as he appeared on the August 26, 1950 cover of Thoroughbred Times. 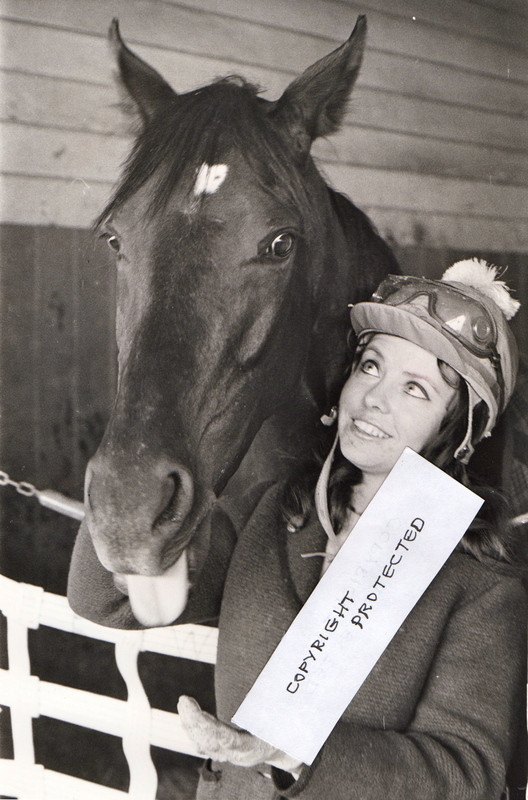 Photo and copyright, Thoroughbred Times. 5. NOOR (Nasrullah ex. Queen of Baghdad, a daughter of Bahram, a British Triple Crown winner) is probably best known for his decisive defeats of Triple Crown winner, Citation. A veteran of some 31 starts, Noor is a stayer with an excellent turn of foot, who will enter the Classic from Post # 5 under Citation’s usual jockey, Eddie Arcaro. 6. 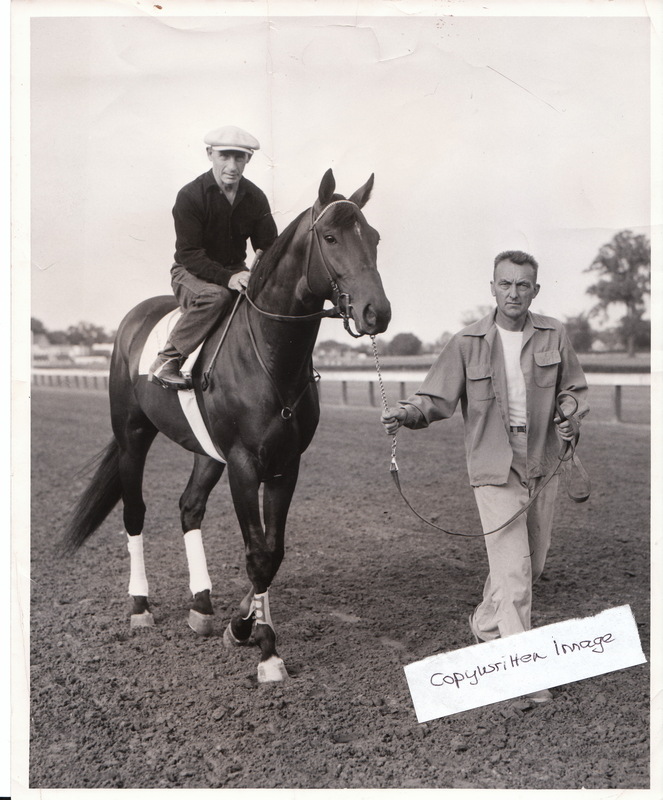 BUCKPASSER (Tom Fool ex. 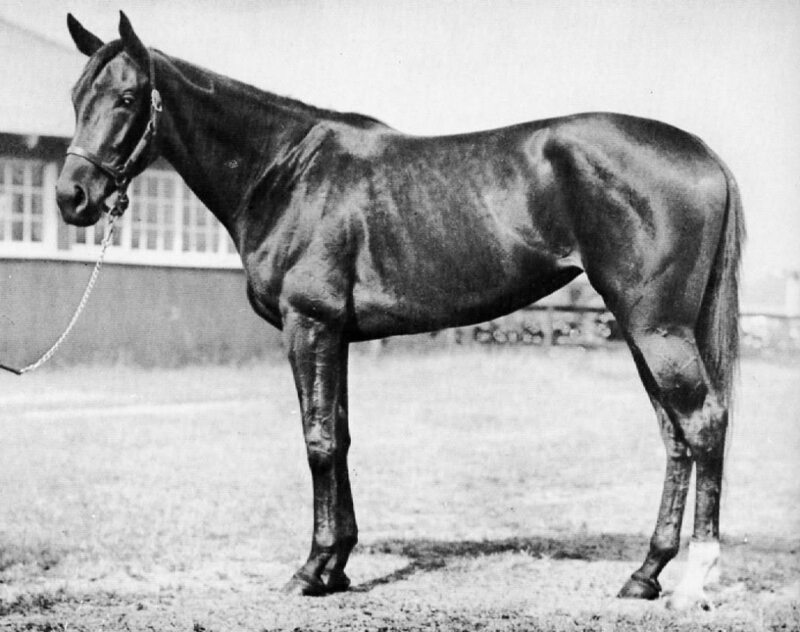 Busanda by War Admiral) is a champion with a solid 25 wins in 31 starts against some good horses. We have yet to see the bottom of this War Admiral grandson, although his stamina has never been a question ….will he bring his best game today? 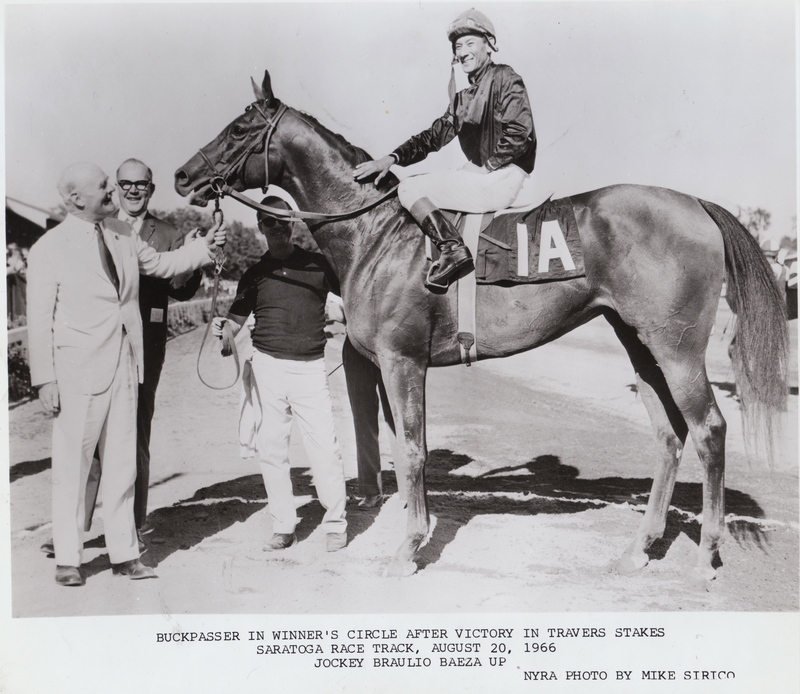 Buckpasser starts under jockey Braulio Baeza from Post # 13. 7. STYMIE (Equestrian by Equipoise ex. Stop Watch, from the family of Colin) carries the reputation of being “the Peoples’ Horse” and rightly so. This good-looking chestnut has weathered 131 starts and has beaten both Assault and Gallorette 3 times, as well as Pavot and Devil Diver. Stymie may be one of the oldest in this field, but he still fires like a rocket. He breaks from Post # 11 under champion jockey, Ted Atkinson. 8. COUNT FLEET (Reigh Count ex. Quickly, from the family of The Tetrarch) is without question going to garner favourite status in the betting. The talented Triple Crown winner — taking the Belmont by 25 lengths — will break out of Post # 2 under his regular jockey, Johnny Longden. 9. RUFFIAN (Reviewer ex. Shenanigans by Native Dancer) is the only filly in the Classic but she is one brilliant thoroughbred. This will be her first start against the colts, but this young lady has run every race by daylight. Ruffian breaks from Post # 13 under her regular jockey, Jacinto Vasquez. 10. GALLANT MAN (Migoli ex. 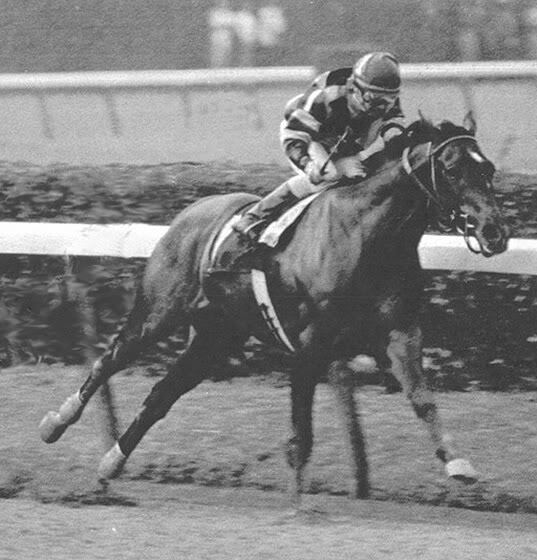 Majideh, a daughter of Mahmoud) is a solid colt who won the Belmont Stakes over the talented Bold Ruler, in a time that stood until Secretariat’s Belmont and has bested Round Table at the wire 3 times. If he can get into contention from the outside Post #14, no question that jockey Bill Hartack will be riding a very strong contender. 11. 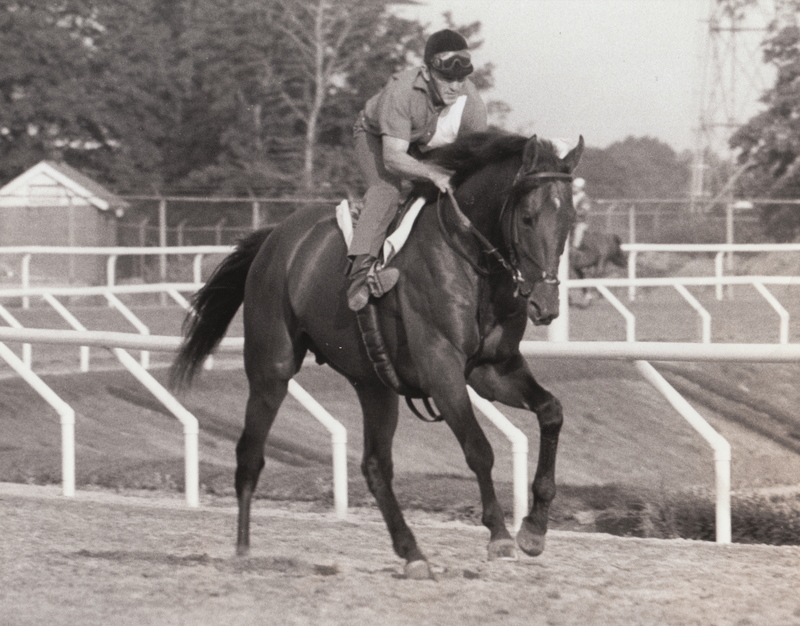 DR. FAGER (Rough N’ Tumble ex. Aspidistra) is trainer John Nerud’s second entry in the Classic. At age 4, this son of Blue Hen Aspidistra is a beast on the turf who still wants to take on all comers from the moment the gate flies open. A winner on any kind of surface, Dr. Fager comes to this Classic with 22 starts and 18 wins, and is coming off a 3 race winning streak. The handsome bay breaks out of the inside Post #1 and jockey Manny Ycaza will need to get into things before his colt gets squeezed onto the rail. 12. NASHUA (Nasrullah ex. Segula by Johnston) has won anywhere from 5 furlongs to 2 miles and has set 3 track records in the process. Although he can be a bit lazy at times, jockey Eric Guerin is more than able to keep this superstar on his toes today. Nashua breaks from Post # 4. 13. YOUR HOST ( Alibhai ex.Boudoir by Mahmoud) has been nicknamed “The Twister” for his odd way of running, but this colt has a heart larger than all the seats at Churchill Downs. This winner of the Santa Anita Derby will break from Post # 12, Your Host will have the services of the talented Eric Guerin in the irons. 14. 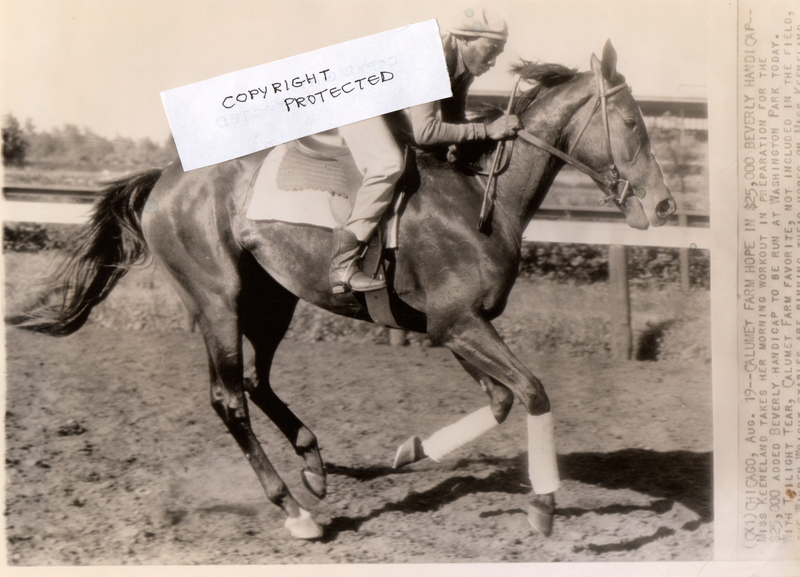 WHIRLAWAY (Blenheim II ex. Dustwhirl, by Sweep) is the Classic’s second Triple Crown winner to take on this new challenge. Trainer Ben Jones has said that “Mr. Longtail” is in excellent form and ready to run a big race today. The stunning chestnut breaks from Post # 4 under the more-than-capable hands of jockey, George Woolf. BREEDERS’ CUP LADIES CLASSIC: ONLY IMAGINE! Just imagine, if you are willing, that you are settling down with your Kentucky bourbon in hand, to watch these ladies compete in the Breeders’ Cup Ladies Classic…..
Each and every one is a champion in her own right, making the outcome hard to bet and even more impossible to call, because each one deserves to win. So here they are, a cast of 14 extraordinary fillies and mares. Who will win? place? show? Regardless of the outcome, we here at THE VAULT like to think that every time the gates fly open, the thoroughbreds who run carry the legacy of those who raced before them. The entrants in this fantasy BC Ladies Classic won more hearts throughout their careers than there are seats at Churchill Downs. Once you’ve met the field, place your bets. Results will be posted Sunday morning, November 6, along with the BC Fantasy Turf Classic (previous post) and the BC Classic (to come). 1. BEAUTILLION (Noor ex. 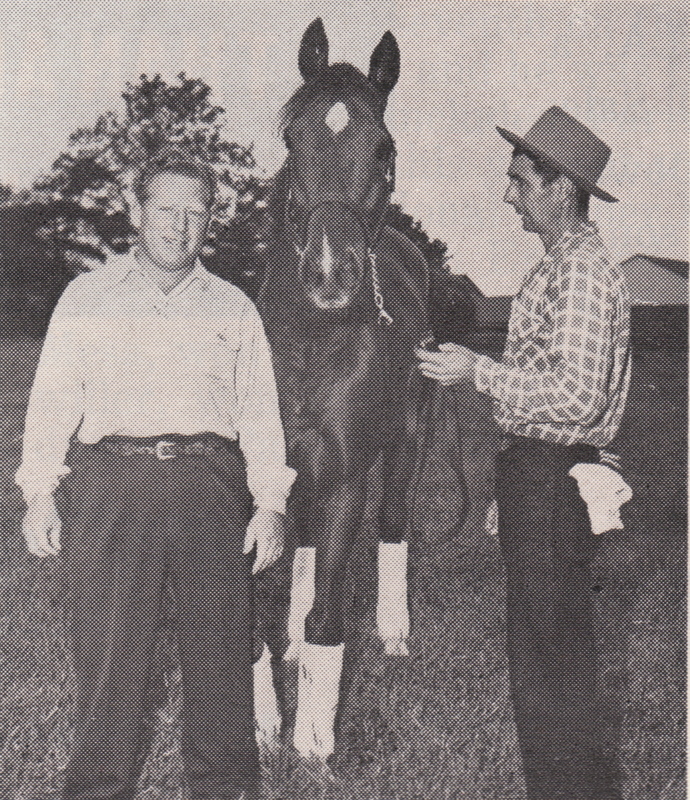 Delta Queen by Bull Lea) owned by Mrs. Ada L. Rice and trained by Al Robertson (above). 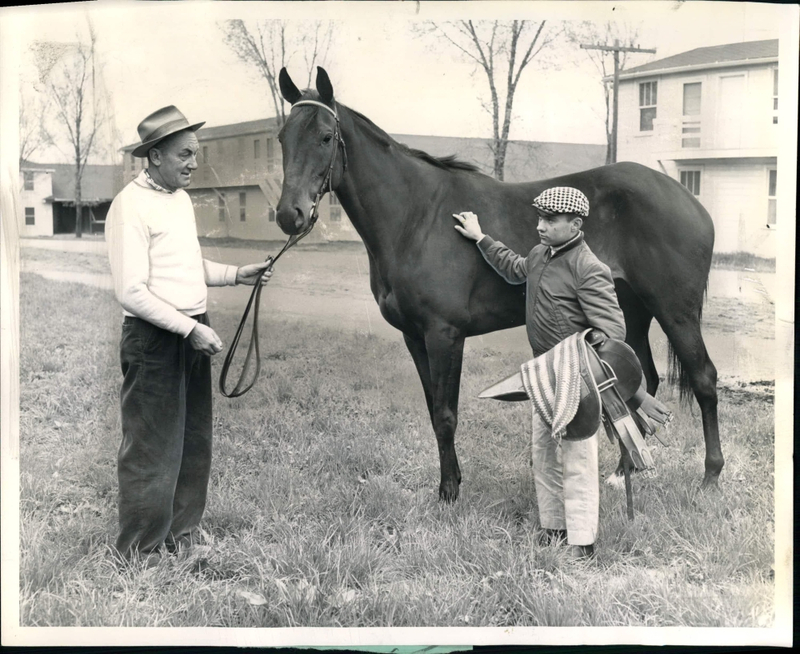 Mrs. Rice’s Danada Farm has been breeding and racing champions since the 1940’s; in 1965, Mrs. Rice campaigned the Kentucky Derby winner, Lucky Debonair.Shown above with her regular jockey, Leo Rosendahl, this fine daughter of the champion, Noor, is a solid contender. The mare comes to the Ladies Classic off a career of 39 starts, with 11 wins, 9 places and 6 shows. Beautillion has also met colts throughout her career and has stood that test with considerable finesse and courage. She has proven staying power and the advantage of settling early into a race. Al Robertson really believes in his girl, confiding, ” She’s better now than she was at 3 or 4. She’s coming into her own late, but just right for the Classic!” Beautillion will have the advantage of an almost ideal post, breaking from the #7 slot with skilled young Rosendahl in the irons again. 2. CANADIANA (Chop Chop, grandson of American Triple Crown winner Gallant Fox, ex. Iribelle, a granddaughter of British Derby winner Papyrus) is owned and bred by Canada’s E. P. Taylor and trained by the talented Pete McCann. This incomparable mare comes to the Ladies Classic with a string of credits to her name. 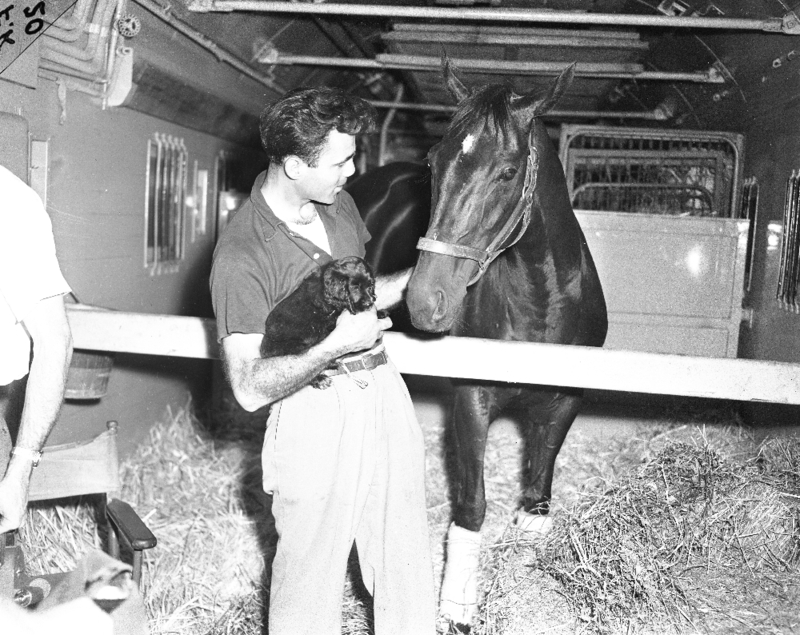 She is Mr. Taylor’s first homebred to win over $100,000; she was the first Canadian filly to defeat colts in the Coronation Stakes and the Cup and Saucer, which she accomplished as a 2 year-old; in the same year, 1952, Canadiana became the first filly to ever win the title of Canadian Horse of the Year. 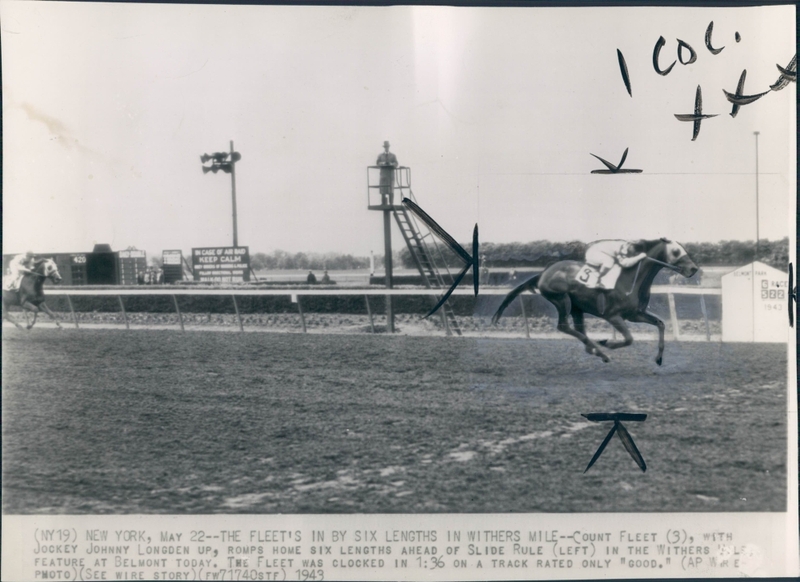 As a 3 year-old, she romped over the colts again in the 1953 Queen’s Plate at Woodbine in Toronto, following which she shipped to Saratoga to win the Test Stakes and finished second in both the Gazelle and Diana Handicaps. Canadiana comes to the Ladies Classic fresh off a win in the Vagrancy Handicap at Aqueduct. The brilliant Canadian invader will be ridden by the great Eddie Arcaro and will break from Post # 11. 3. TOP FLIGHT (Dis Donc by Sardanapale ex. Flyatit, a granddaughter of Commando) is owned and bred by the Whitney Stable and trained by Thomas J. Healey. It’s fair to say that this little lady is one of the stars of this year’s Ladies Classic. As a 2 year-old, she was unbeaten in 7 starts — all stakes races — and defeated, among others, the future Kentucky Derby and Preakness winner, Burgoo King, to earn an unheard of $219,000 !!!! As a 3 year-old, she has been defeated, but still comes to us with a record of 16 starts and 12 wins throughout her career. She is feisty and she is talented! She is partnered with her regular jockey, Sonny Workman, and breaks from Post # 3. 4. MISS KEENELAND (Blenheim ex. Lady Peace by Sir Gallahad) hails from Calumet Farm and is another of their exceptional homebreds. The talented daughter of Blenheim II has most famously defeated her stablemate, the great Twilight Tear, in the Selima Stakes over a muddy track. Trained by the famous Ben E. Jones, Miss Keeneland comes to Churchill Downs with 27 lifetime starts, 6 wins, 5 places and 2 shows. Miss Keeneland will be ridden by the great George Woolf and starts from Post #6. 5. NORTHERNETTE (Northern Dancer ex. South Ocean) is the second Canadian invader and another E.P. Taylor homebred, owned by Syl Asadoorian and trained first by Jerry Meyer and now by Frank Whitely. Northernette is a full-sister to Storm Bird and her career thus far reflects the same kind of glory, since many Canadians would tell you that she is among the top best Canadian-breds to ever race. Her most spectacular victory was undoubtedly her 11-length romp in the Canadian Oaks, although she lost the Queen’s Plate by only about half a length to Sound Reason the same year. Shortly thereafter, Northernette took the Selene Stakes in record-breaking time. Under Whitely’s supervision, the mare has continued her winning ways, annexing the Apple Blossom and the Chrysanthemum at Laurel. Champion filly at 2 and 3 in Canada, Northernette comes to the BC Ladies Classic with impressive stats: 33 starts-13 wins-11places -3 shows. The daughter of Northern Dancer will break from Post # 9, under leading jockey Jacinto Vasquez. 6. CICADA (Bryan G. by Blenheim II ex. Satsuma by Hildene) is a Meadow Stable homebred, racing for Mr. Christopher Chenery; Cicada is trained by Casey Hayes, of Hill Prince fame. 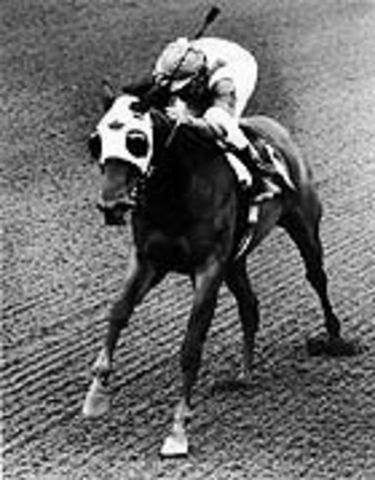 Her regular jockey, the great Bill Shoemaker, says that the tiny 15.2-hand mare is the best thoroughbred to ever campaign in Chenery’s blue and white silks. And that assertion is tough to argue! As a 2 year-old, this petite lady ran 14 times and was never out of the money. Her wins include the Frizette, Matron, Spinaway and Mother Goose Stakes. As a 3 year-old, it is impossible to forget her run in the Florida Derby, where she was bested by Ridan by a mere “short” nose at the wire. The champion has now annexed 23 wins in 42 starts. Cicada goes in to the Ladies Classic at Post #5 with Shoemaker in the irons. 7. MISS DOGWOOD (Bull Dog ex. Myrtlewood) is a homebred of the Combs’ family, bred by Brownell Combs and owned by nephew, Leslie Combs II, owner of Spendthrift Farm. Winner of the 1942 Kentucky Oaks and the Phoenix Handicap, Miss Dogwood enters the Ladies Classic with an impressive 14 wins out of 21 starts. This speedy and determined filly will have jockey John Adams in the saddle and breaks from Post #12. 8. BEWITCH (Bull Lea ex.Potheen from the family of Broomstick/Ben Brush) is a Calumet Farm homebred, trained by the incomparable father-son duo of Ben and Jimmy Jones. How could this stunning daughter of Bull Lea NOT be great? After all, she’s out of the same sire crop that produced Citation and Coaltown! As a 2 year-old, this princess of thoroughbreds won 8 races in a row — 6 of which were stakes races — and in the Washington Park Futurity she defeated Citation. This was the only defeat of the future Triple Crown winner’s career at 2. Sidelined due to injury in her 3 year-old season, Bewitch nevertheless came back in June of 1948 to score 4 wins in 6 starts. 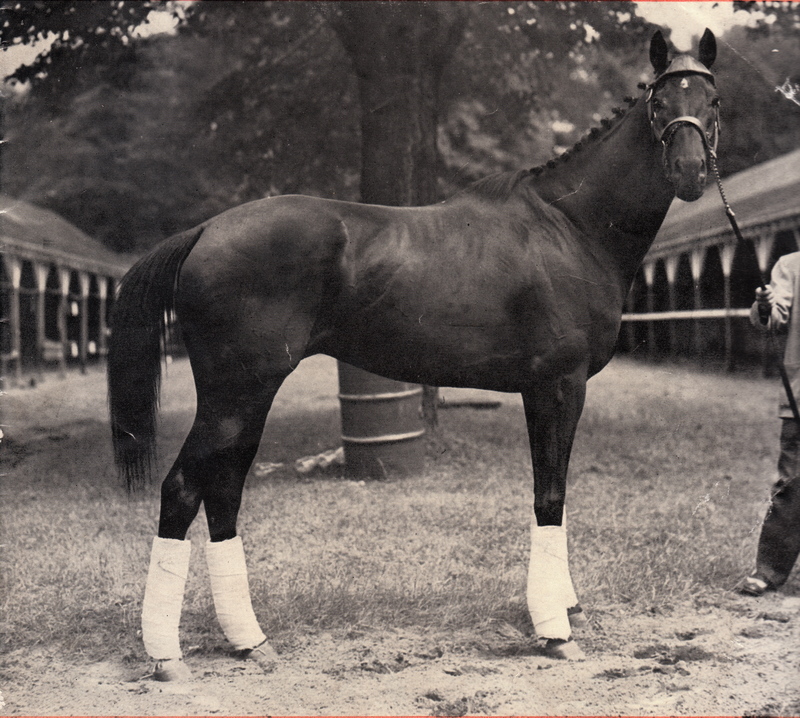 At 4, she ran the fastest mile ever run by a filly in the Beverly Handicap. At 5, Betwitch travelled the country, unplaced except for once and at 6, the gutsy campaigner ran 15 times — 12 of those against the colts. She has amassed 2 Champion awards (in 1947 & 1949) and earned a record $462,605. Bewitch enters the Ladies Classic as a 7 year-old, with 55 starts, 20 wins, 10 places and 11 shows to her credit. The great mare will start from Post # 4, under jockey Doug Dodson, who knows her very well. 9. DARK MIRAGE (Persian Road from the family of UK Triple Crown winner, Bahram, ex. Home By Dark, granddaughter of Princequillo) was bred in Kentucky by Duval E. Headley, is owned by L.I. Miller and trained by Everett W. King. This dimunitive bay filly — she weighs in at a mere 705 lbs. — is the USA’s very first winner of the Triple Crown for fillies. Although many laughed when Dark Mirage got off to a slow start in her 2 year-old season, this year at 3 she has been positively brilliant, romping through her Triple Crown by lengths and lengths. When you place your bets, don’t overlook this tiny dynamo — she’s coming into the Ladies Classic at her peak. Dark Mirage starts from Post #10, with the accomplished Manuel Ycaza in the irons. 10. 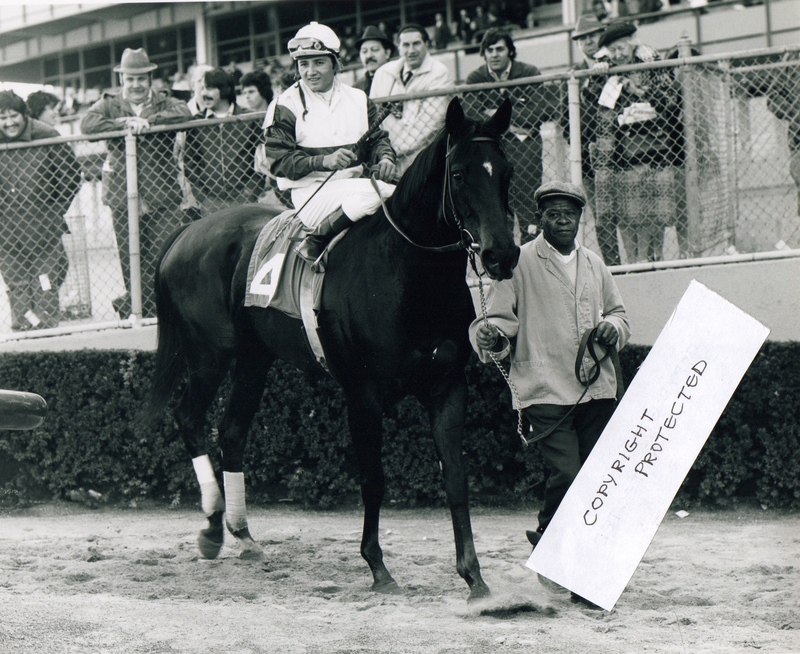 LA PREVOYANTE (Buckpasser ex. Arctic Dancer by Nearctic) is a homebred of prominent Canadian horseman, J. Louis Levesque and trained by Yonnie Starr. This richly endowed filly comes into the Ladies Classic from an impressive string of victories. 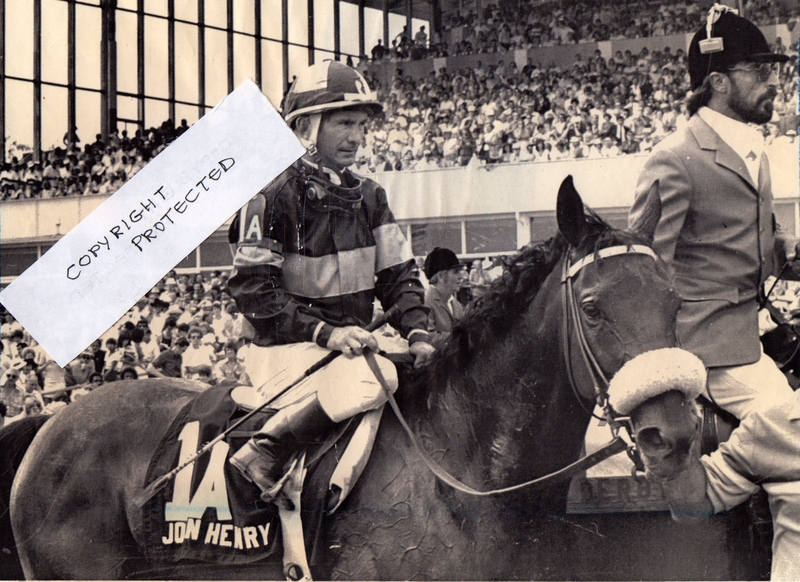 As a 2 year-old, the speedy daughter of Buckpasser, whose dam is a full sister to the great Northern Dancer, won 12 of her 12 starts, was runner-up to Secretariat for Horse of the Year honours (1972) and was voted both Horse of the Year in Canada (1972) and Champion 2 year-old in both Canada and the USA. Granted, she’s been less flamboyant as a 3 year-old, but she enters the Ladies Classic with a great pedigree and 37 starts under her belt, of which she has won 25. La Prevoyante, our third and final “Canadian invader” comes out of Post #13 under famed Canadian jockey, Ron Turcotte. 11. GALLORETTE (Challenger II ex. 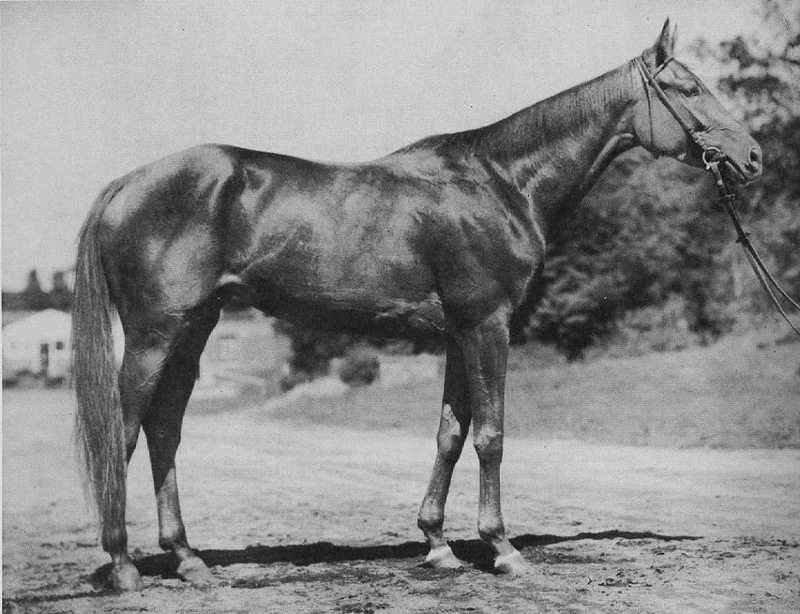 Gallette, by Sir Gallahad) was bred by Preston W. Burch and originally owned by William L. Brann. At 4, she was sold to her current owner, Mrs.Marie A. Moore. The champion is trained by the noted Maryland horseman, Edward A. Christmas. 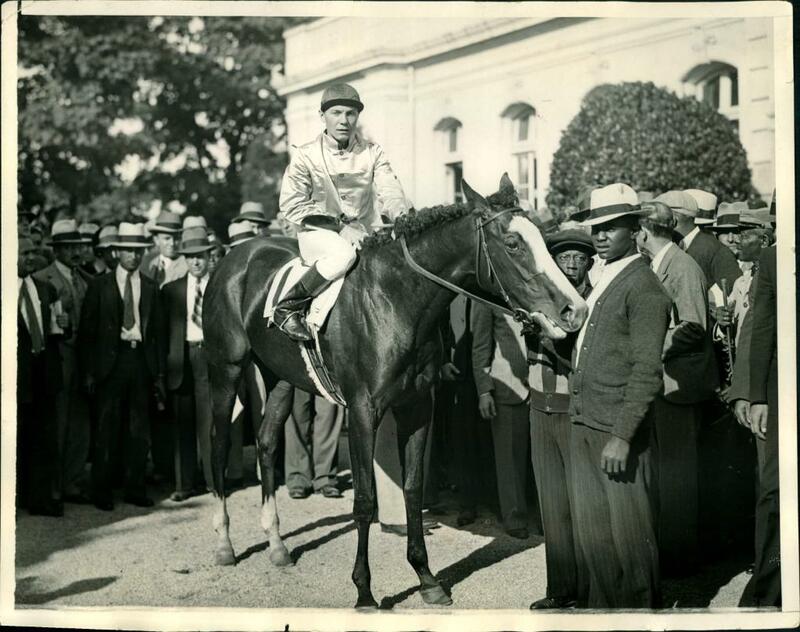 This large — over 16 hands — mare has spent most of her career trouncing some very good colts, including Hoop Jr., Polynesian, Pavot and that grand old man of the turf, Stymie. She has also raced against the likes of Armed, Assault, War Date and Hornbeam, either beating them or finishing in the money every time. At the age of 6, Gallorette comes into the Ladies Classic with an astounding record of win, place or show in 54 of her 72 starts. In all these years, the courageous mare has rarely settled for defeat. Gallorette starts out of Post # 8 with the great Ted Atkinson in the saddle. 12. 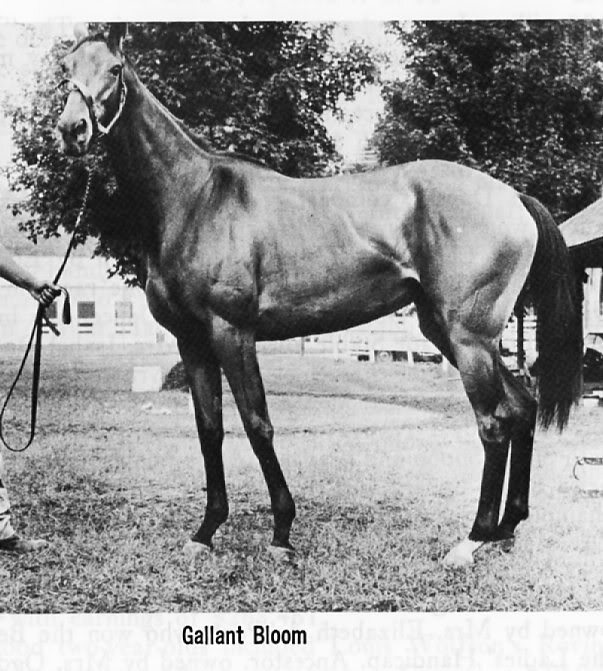 GALLANT BLOOM (Gallant Man ex. Multiflora, from the family of Bull Lea & Beau Pere) is a King Ranch homebred of owner, Robert J. Kelberg Jr. and was trained by Max Hirsch initially, before his son, Buddy, took over in 1969. 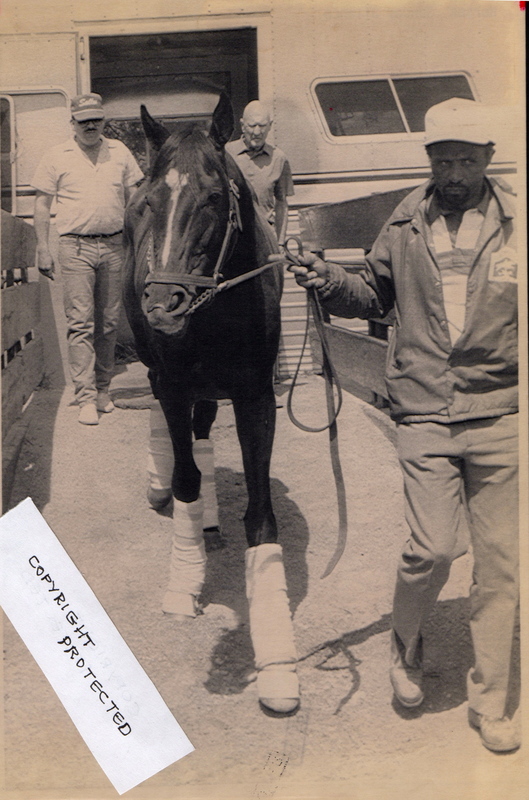 The bay filly who is noted for her sweet disposition arrives here for the Ladies Classic off a career that has seen her take 12 stakes races in a row from 1968-1970, corner the Eclipse 3 year-old honours and beat filly Triple Crown winner Shuvee, as well as the great Gamely. She may be sweet, but on the turf this daughter of Gallant Man means nothing but business! Gallant Bloom breaks from Post #2 under veteran jockey, Bobby Ussery. 13. 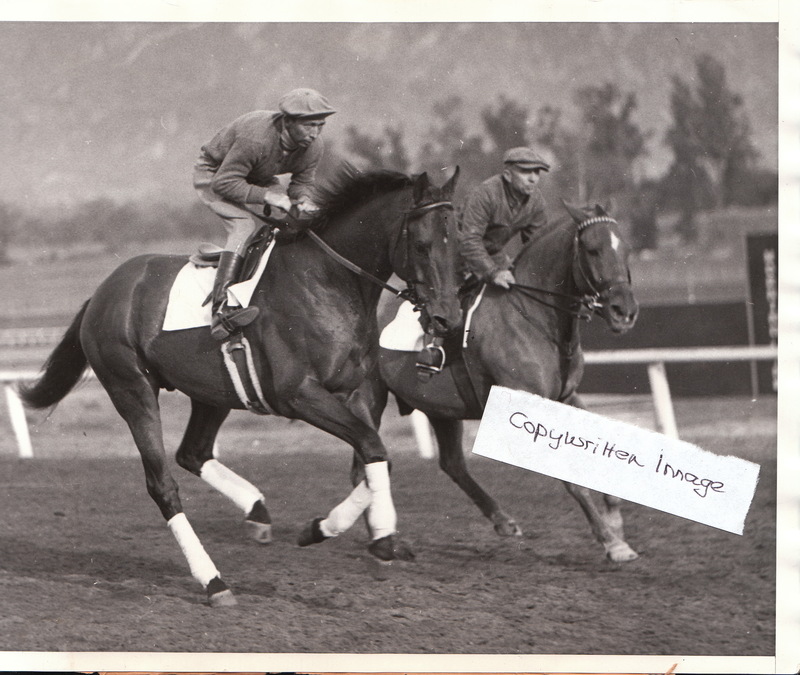 BUSHER (War Admiral ex. Baby League, a daughter of Bubbling Over & La Troienne) was bred by the distinguished horseman, Colonel Edward L. Bradley at his Idle Hour Stock Farm. 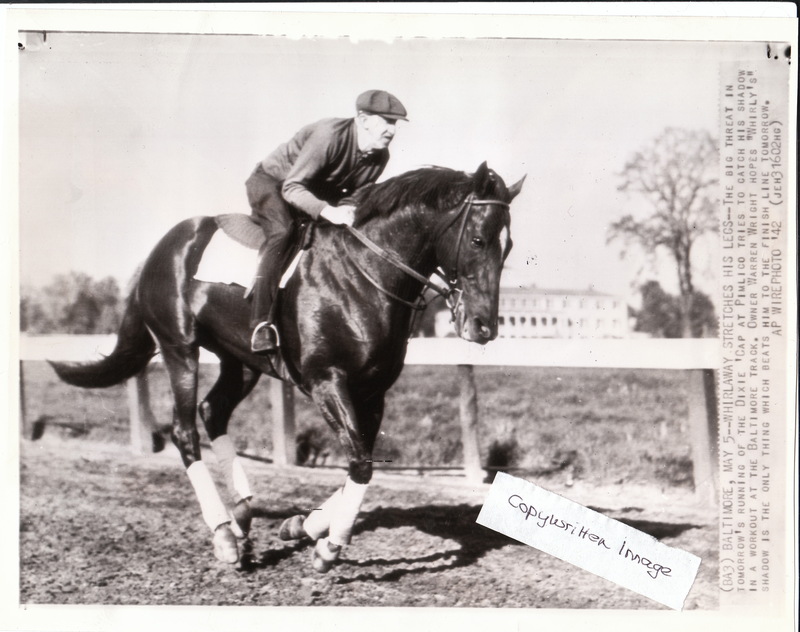 Trained by Jimmy Smith @ 2 and now by George Odom, this accomplished daughter of War Admiral is presently owned by racing enthusiast and cosmetic queen, Elizabeth Arden. Busher broke her maiden at first asking and has since scored victories over Gallorette (in the Selima Stakes) and Armed (Washington Park Handicap), annexing 15 wins in 21 starts and earnings of $334,035. At age 5, Busher has only raced once, but this darling of the turf and multiple-award winner is bound to hand a good fight to the other mares in the field. Busher breaks on the extreme inside, from Post #1, under the great Johnny Longden. 14. TWILIGHT TEAR (Bull Lea by Lady Lark, a daughter of Blue Larkspur) is a Calumet Farm homebred, trained by Ben E. Jones. This lovely filly with the kind eyes may be the last of our contenders, but she is by no means the least! 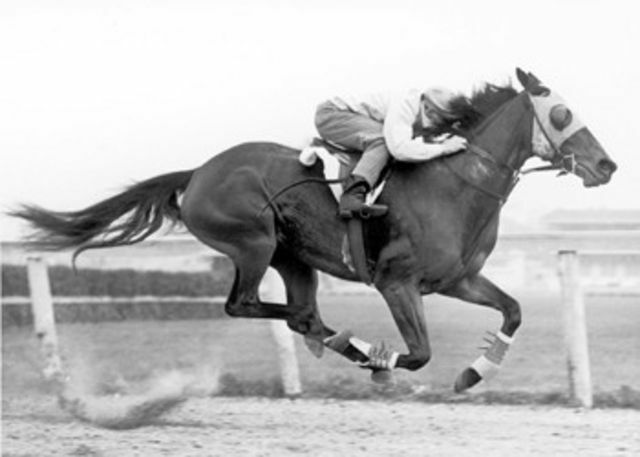 Fresh off a 3 year-old season that has seen her soundly rebuff both Devil Diver and Pensive, the latter in a time matching that of Seabiscuit’s defeat of War Admiral (1938), Twilight Tear may just be poised to run the best race of her career. Although she has pulled Post #14, making it imperative that her HOF jockey, Conn McCreary gets her into the race as quickly as possible, this writer would guess that she’s more than up to the challenge. 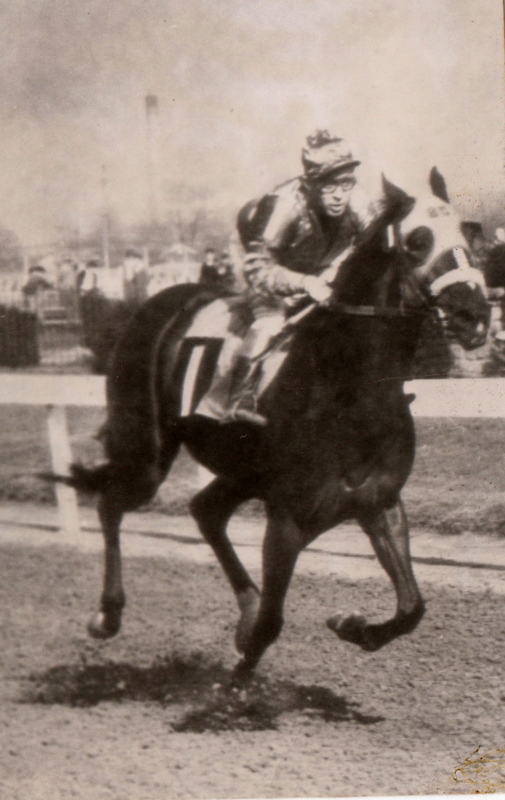 After all, Twilight Tear is the first filly to ever take Horse of the Year honours, which she did in 1944.